A grid administrator collects citizens’ personal information at their home. Beijing’s effort to monitor religious groups and other citizens to prevent “instability and disunity” taken to absurd lengths. Who is watching you now? 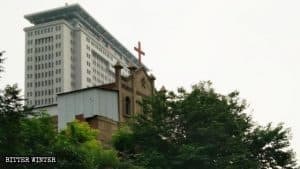 The Chinese government has enlisted grassroots organizations, grid administrators, community staff, property management companies, and even sanitation workers to serve as its “right-hand assistants” in combating religious belief. Believers today must watch their every move, as their neighbor may be spying on them. The Fengqiao Experience is a Mao-era method for using massed groups of citizens to monitor and reform those who are labeled as “class enemies.” The method operates on the principle that “Ten people work together to reform one person so that conflicts are not handed over to higher authorities and thus the society is reformed from within.” In colloquial terms, this is mobilizing the masses against the masses. 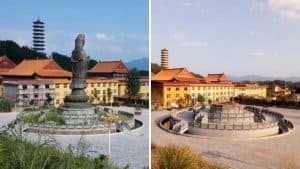 In recent years, the government has vigorously promoted the Fengqiao Experience to maintain social order. Declared to be “unstable elements,” religious groups have become the primary target of surveillance by grassroots community organizations. On October 8, 2018, a community secretary in Daqing city, in the northeastern province of Heilongjiang, convened a meeting of all grid administrators in the jurisdiction. He informed the group that all residents who had not yet been investigated and registered since January 2018, must now be investigated and registered. Grid administrators would be held responsible for ensuring every citizen is included. The community secretary instructed them to look around when visiting each home to observe whether any abnormalities exist. They must also, in a conversational manner, find out about all members of the household, where each person works, and whether any holds religious beliefs. If they discover any non-family members or people who don’t belong, they must investigate where they are from and whether they are staying for an extended period. Every day, the grid administrators must patrol the building area and go from household to household conducting interviews. The community secretary also demanded that grid administrators keep a journal detailing the content of conversations with citizens, and submit the journal to their superiors. They must write the number of families they visit each day, what each family’s situation is, and the content of conversations. This must be written for every household that is investigated. They must also write whether they encountered any abnormal situations. Following the implementation of these new directives for grid administrators, several house-church gathering venues in the community were forced to stop holding meetings. One grid administrator, who requested anonymity, told Bitter Winter that recently, investigations of religious belief have been noticeably stricter than before. In the past, district police held meetings once a week for the community’s grid administrators. Now, the community secretary holds four or five meetings each week for the persons in charge of the grid administrators. The government does not limit its grassroots surveillance efforts to official grid administrators. The business community and other service providers are also expected to be the eyes and ears for the government. 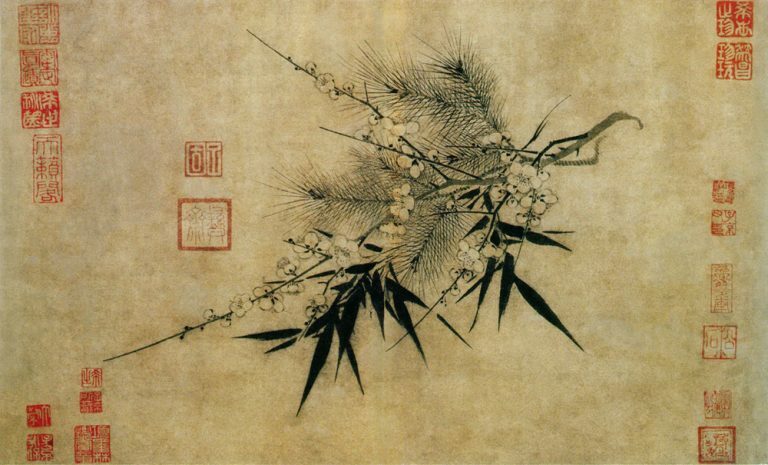 Mr. Zhao, a property management worker in the northwestern province of Shaanxi, told Bitter Winter about his experience acting as a spy for government authorities. At almost every meeting with authorities, Mr. Zhao says, combating religious belief is emphasized. According to the contents of official documents, property management companies have a responsibility to “safeguard the stability and unity of society.” Believing in God and holding gatherings disturb social order and are related to politics, so participants in gatherings are deemed “unstable elements.” Thus, whenever someone reports a situation, the property management company must dispatch personnel to shut down the meeting venue and drive out the believers. The property management company for which Mr. Zhao works is responsible for managing two communities with more than 60 buildings. At his office, there are three people whose main job is to cooperate with the government to shut down house churches and expel believers. Approximately 40 house church gatherings are “dealt with” every year. “Sometimes, they are reported by their neighbors. Sometimes, they are discovered by community security guards on surveillance video. As long as people are found holding a gathering, we have to dispatch personnel immediately to handle it,” said Mr. Zhao. If a gathering venue is found with a lot of people, it must be reported to the higher-level law enforcement. Mr. Zhao thinks such rhetoric is absurd, saying, “What kind of trouble are a group of people in their seventies and eighties going to make?” However, in order to keep his job, he still went along with the leaders and shut down the meeting venue. Sanitation workers in the community have also joined the “army” monitoring religious believers. A sanitation worker in Tangshan city, in the northern province of Hebei, reported that the local police station requires them to carry a handheld intercom while working, keep a close eye on every building area and household, and monitor and report people who believe in God. This new practice has been in place since April 2018. The police specify that surveillance be conducted on anyone who is not a member of the community. Every stranger is classified as a suspect. If a household has many strangers coming and going, it must be reported to the property management company or local police station. 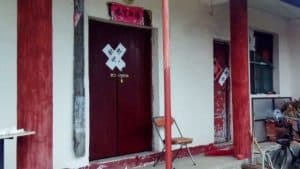 Meanwhile, a sanitation team in a residential quarter in Zhengzhou city, in the central province of Henan, received a government notice demanding that they remove all religious prayers or poems posted on owners’ doors (Chinese traditionally post two-line poetic couplets for various occasions). If such prayers are discovered during the month-end inspection, those responsible will be fined 100 RMB per couplet. If the sanitation team finds people holding gatherings, they must also promptly report it to the authorities. 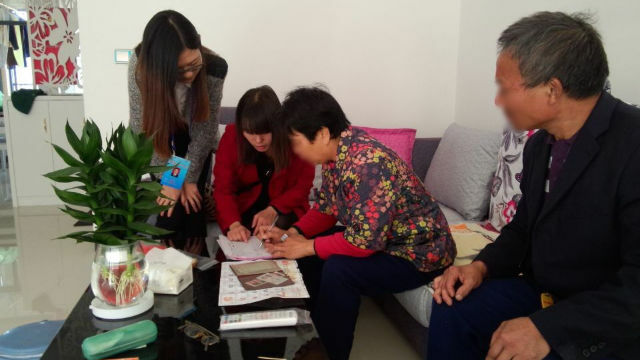 Four officers from a police station in Daqing city, in the northeastern province of Heilongjiang, visited a local sanitation team and ordered the more than 70 sanitation workers to gather information on Christian believers. 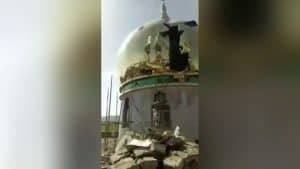 The police told the workers that anyone who heard about a religious meeting must secretly take photos or videos; those who reported it promptly would be appropriately rewarded. The police handed business cards to each sanitation worker, so that they could contact the police at any time. 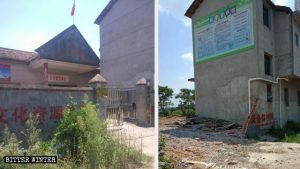 In the early 1960s, Mao Zedong promoted the Fengqiao Experience against the backdrop of a class struggle, mobilizing the masses against the masses, resulting in more than 1.72 million deaths of “class enemies.” Today, Xi Jinping is revisiting the Fengqiao Experience, exploiting the masses to eliminate religious belief, making life extremely difficult for Christians in China.